Last month, more than 6,000 government, business, and civil society leaders gathered at the once-a-decade World Parks Congress in Sydney, Australia, to discuss the future of protected areas. To some, protected areas may seem like "traditional" conservation -- setting aside pristine places for the benefit of wildlife. And to be sure, protecting biodiversity remains at the very core of every conservation strategy in our toolbox. But protected areas also do much more. From improving food and water security to reducing the impacts of climate change, well-planned and managed protected areas can provide important benefits to people too. Australia was a great place to have this conversation. With about 5,000 private protected areas covering 8.9 million hectares (22 million acres), the country has long recognized the value of its natural assets and pursued innovative conservation strategies to protect them. Take the country's extraordinary coral reefs, which are world renowned for recreation and tourism. Continuing to strengthen the protection of these reefs will help build resilience against the threat of climate change. These habitats also provide natural barriers to storms, produce fish that fuel the region's economy, and protect source water-critical services that coastal ecosystems provide around the world. 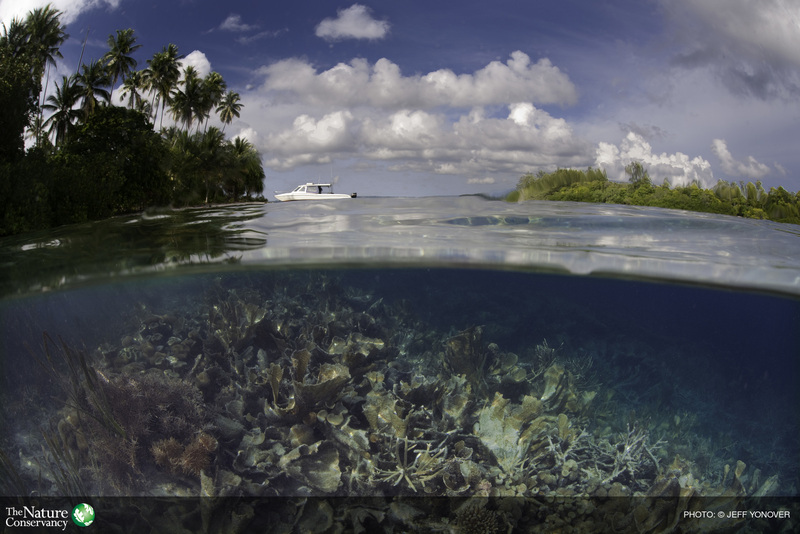 A new TNC study looked at the multiple benefits of healthy coral reefs and mangrove forests, and how well national parks and reserves currently protect those benefits. The results were mixed. Not surprisingly, reefs that bring in high tourism revenue are fairly well protected. In contrast, there are still great opportunities in most regions to increase the protection of reefs that have high values for coastal protection and fisheries production. While we have a long way to go to refine these maps and make specific recommendations for countries, our goal is to encourage policy makers and planners to consider and include ecosystem services -- coastal protection, carbon storage, and fisheries, for example -- in their protection plans. One exciting commitment at the Congress was the Australian government's pledge of an additional $AUD 6 million to support The Coral Triangle Initiative on Coral Reefs, Fisheries and Food Security (CTI-CFF) -- a joint commitment by Indonesia, Malaysia, the Philippines, Papua New Guinea, Solomon Islands, and Timor-Leste to protect marine and coastal resources across the region. The Initiative is demonstrating the potential social and economic impacts of an integrated strategy for conservation and development, with protected areas at its foundation. The CTI-CFF has brought significant progress to protecting the reefs of the Coral Triangle that support the livelihoods and food security of nearly 400 million people in the region, and millions more living in other parts of the world. We were also pleased to see delegates calling for a stronger recognition of the rights of Indigenous peoples in protected areas management. With their important traditional knowledge and vast experience as sustainable environmental stewards, Indigenous peoples are uniquely positioned as conservation leaders. At the Congress, The Nature Conservancy shared best practices from our programs and partnerships with Indigenous peoples in the Amazon, Africa, Australia, and Canada to help set an inclusive, rights-based agenda for design and management of protected areas. From China's commitment to increase its protected areas territory by at least 20 percent to South Africa's pledge to triple ocean protection in the next ten years, a number of countries stepped up at the Congress to demonstrate their leadership. Just as important, the Congress resulted in "The Promise of Sydney," a bold new agenda for protected areas that will guide development and policy around the world. The Promise charts a pathway for reaching a global target to protect at least 17 percent of land and 10 percent of oceans by 2020. We applaud the Congress for putting forth an ambitious agenda that highlights the central role of protected areas not just in halting biodiversity loss, but also in tackling climate change, reducing the risk and impact of natural disasters, improving food and water security and promoting human health. As IUCN Director General Julia Marton-Lefevre said at the Congress, "Protected areas are by far the best investment the world can make to address some of today's biggest development challenges." Going forward, we must continue to better articulate the many benefits provided by natural habitats to ensure that protected areas live up to this promise. Image: Soft and hard corals growing next to a mangrove swamp at Kofiau. Kofiau is part of the Raja Ampat Islands of Indonesia located in the Coral Triangle.